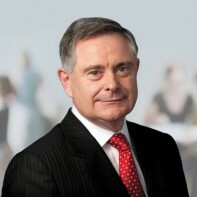 Outgoing Labour TD Brendan Howlin is seeking re-election for an eighth term as a deputy for Wexford. The 54-year-old was first elected to Dáil Eireann in 1987 and has been returned at every subsequent general election. Howlin was Minister for Health from 1993 to 1994 before his appointment as Minister for the Environment under the rainbow coalition. He is currently the Labour Party's Spokesperson on European Affairs, Constitutional Matters and Law Reform, and Human Rights. Howlin is a former national school teacher.